The town’s war memorial was built in 1921 and was paid for by public subscription. It remained in this spot directly outside the townhouse until 1952, when it was moved to its current location. The building that can be seen just to the left of the war memorial, with the arched windows is currently home to the Royal Bank of Scotland. This view of the War Memorial in its original location, was taken from High Street looking towards Townhead, at the left of the image the iron gates of the Townhouse can just be seen, these were scrapped to during the early forties to help the with the war effort. 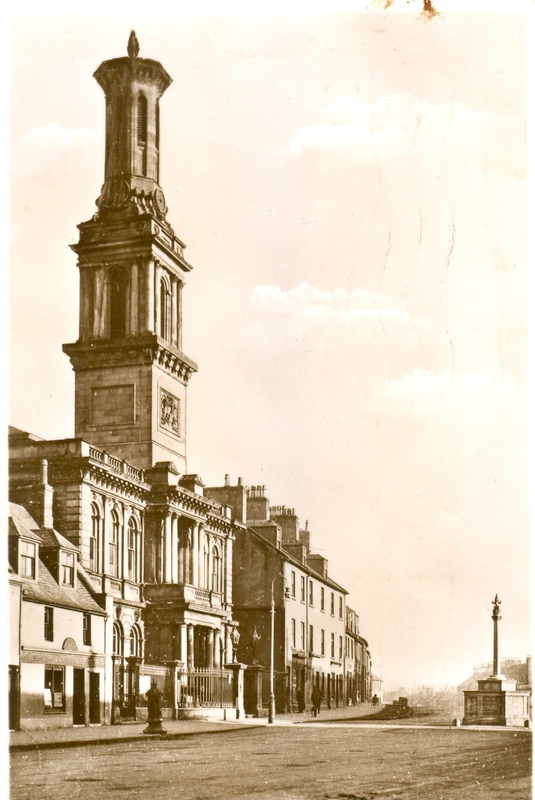 The building standing beside the Townhouse in this image was demolished during the 1950s and the War Memorial was put there in its place, where it still stands today.